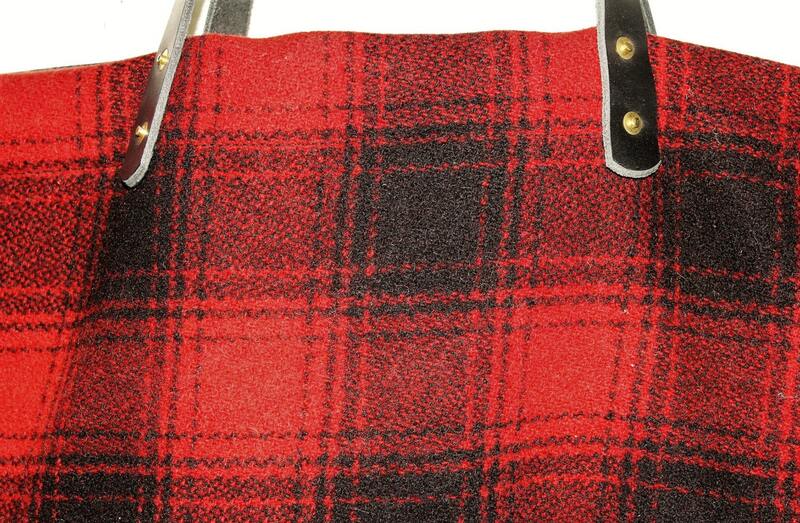 The fabric for this tote comes from a pair of vintage wool hunting pants from the 1940s. The wool is really thick and dense and in beautiful condition. 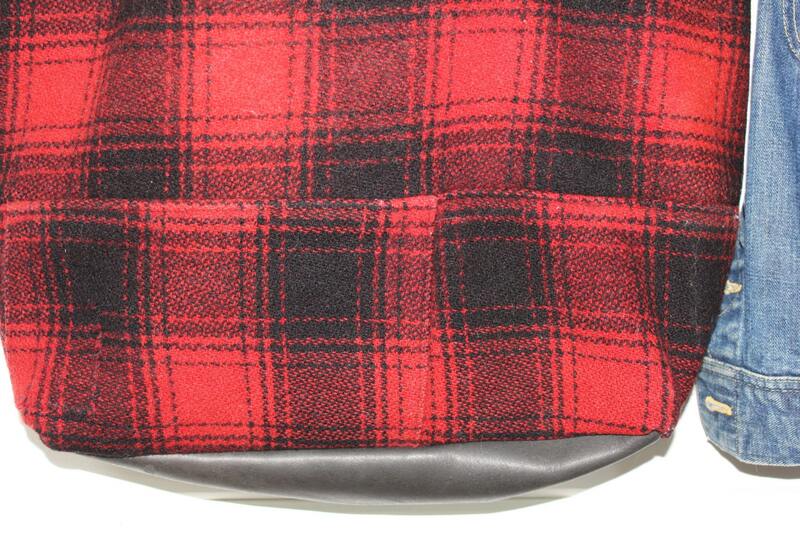 I used the front knee reinforcement panel for the front of the bag. 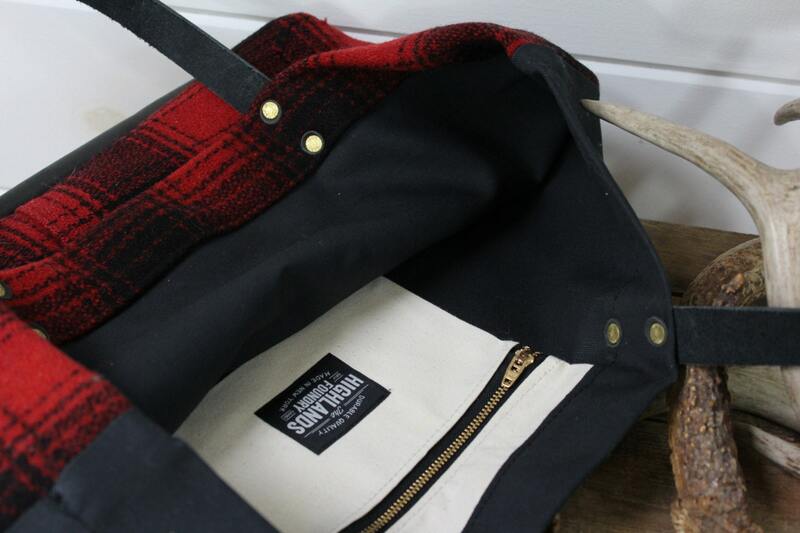 The back of the tote is made with a heavy black duck canvas. There is a black heavy leather bottom panel. 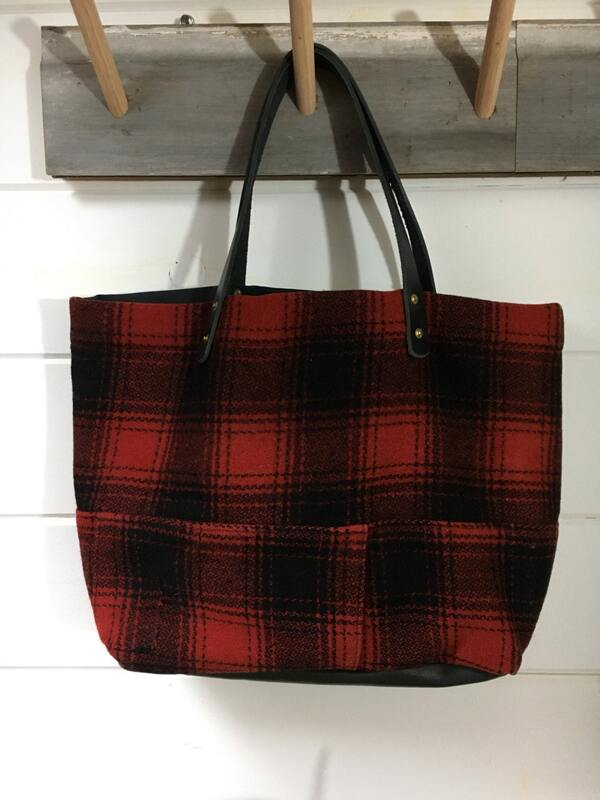 The inside of the bag is fully lined with black cotton sheeting. 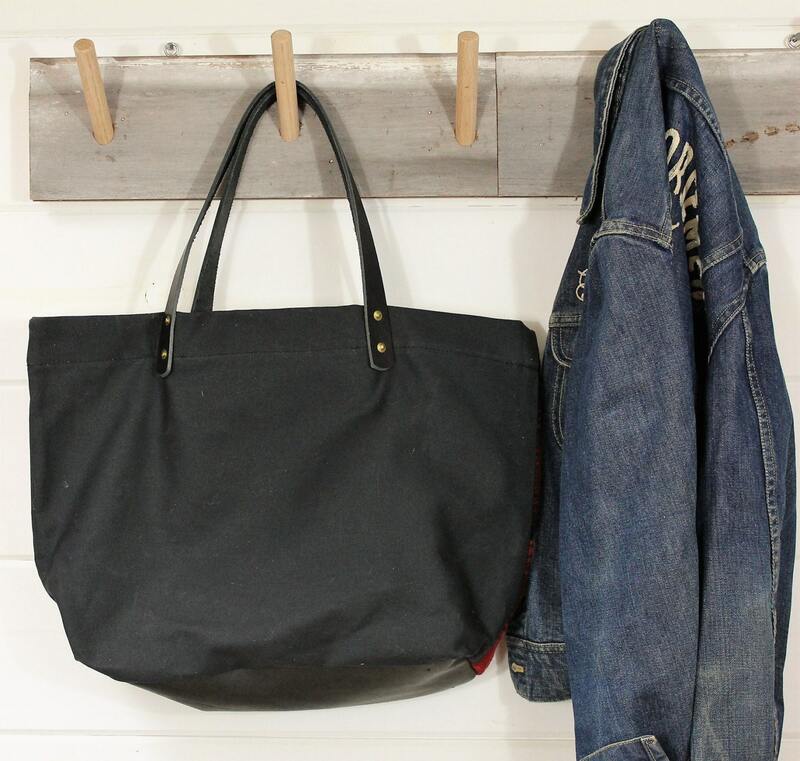 There is an interior pocket with a zipper closure made from natural canvas. The leather straps are a heavy black leather and secured with solid brass rivets.